I personally prefer science experiments with materials that I can easily take from the kitchen cupboard. But I also know that the convenience of having all the materials in one kit is much appreciated by busy parents. 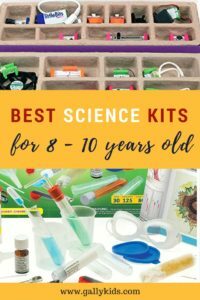 If you’re looking for one, here are some of the best science kits for kindergarten kids that I have found. 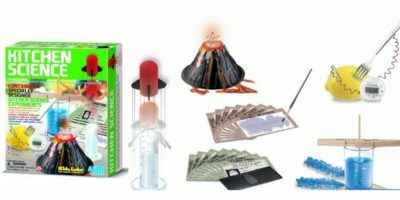 I’ve included kits for some of the most popular activities for preschoolers like the volcano eruption experiment to kits that include science equipment that you will be using for many years to come like test tubes and magnifying glass. By the way, if you’re here looking for our other lists, just click the links below. 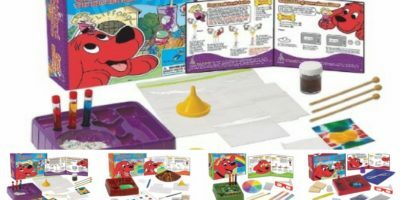 Did you know that Clifford the Big Red Dog has many different science kits for kindergarten kids? 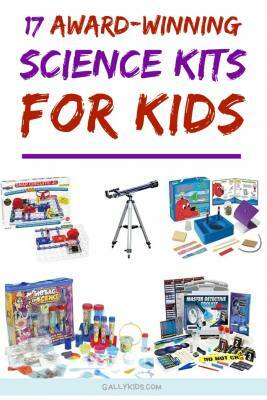 The kits include many of the popular and fun science experiments that little ones can easily do. What a fun way for kindergarteners to learn about Science with a well-loved character. 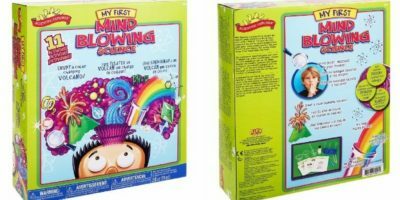 The Scientific Explorer’s Mind Blowing Science Kit is a great starter kit to get your kids interested in many of the STEM concepts. With this kit, you can have many hours of mixing, thinking, learning new words, asking science questions and having fun too. 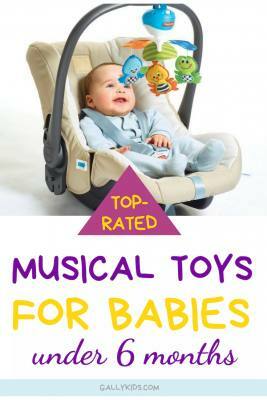 There are over 20 pieces in this kit that are suitable for small hands. Apart from the science apparatus in the box, there are also materials and ingredients readily available which you may not easily find at home such as red cabbage juice, citric acid and polyacrylamide crystal. For kids who are interested in how the human body works, Smartlabs Squishy Human Body is a good fit. 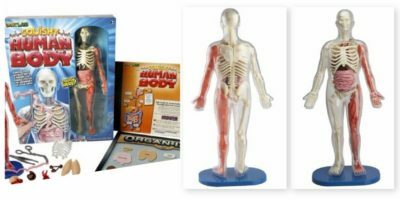 It is a book and a kit for exploring the human skeletal, vascular and muscular system. 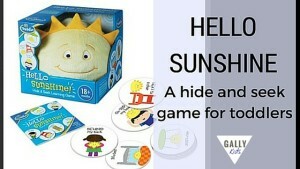 It offers a very visual hands-on activity for young kids. 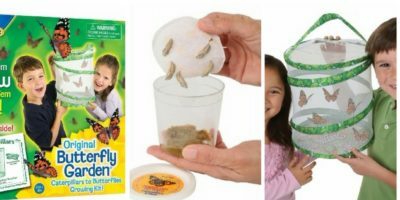 The Insect Lore Butterfly Garden is probably one of the bestselling science kits for kindergarten kids. And it’s very easy to understand why. Can you imagine being a young kid and “growing” your very own butterfly inside your house? This was quite memorable for my son and he will now never forget how a caterpillar changes into a beautiful butterfly. How magical. Letting go of the butterflies may not always be an easy one, though. It was both a happy and sad day for us. But having the materials right when you need them is often very well appreciated by us busy parents, right? Generate electricity by using a fork and tomato and light up a bulb. Launch a rocket fueled by baking soda and vinegar. 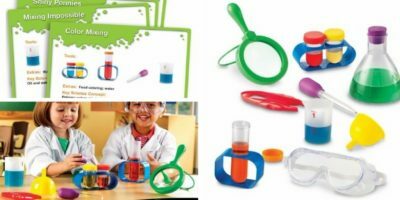 The Learning Resources Primary Science Lab Set contains many things that preschoolers need to make their own science experiments at home. Some handy science materials that you will be using as the kids grow older. Apart from the materials, it also has clearly written instructions for science experiments that little kids can easily recreate at home. 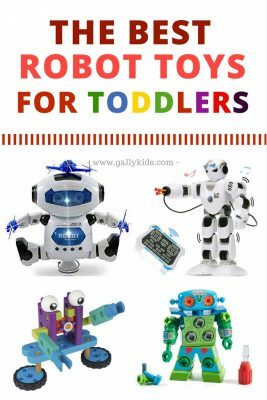 Do you sometimes feel that your child needs to learn the concept of building robots as early as possible? I have! The problem with many robot kits though is that they are not suitable for very young kids. Until Cubelets by Modular Robotics made them. 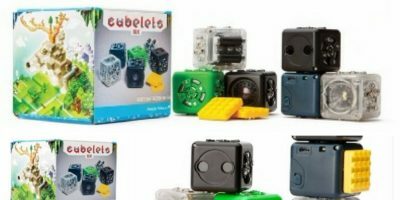 Cubelets easily snap to each other to make different kinds of robots. It’s a way to learn about robotic technology in a very easy and fun way. Watch the video below to see what it’s all about. 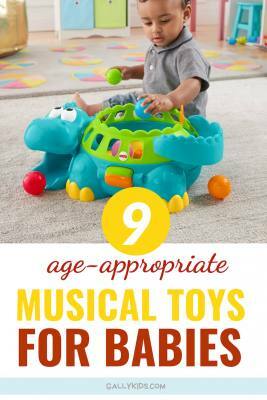 Do you have a kindergartener who’s into dinosaurs? 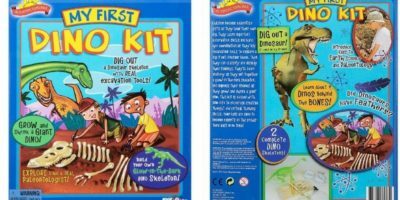 The First Dino Kit is a perfect way to combine that passion with a little bit of science activity. My son got a similar dinosaur digging kit when he was 6 and boy was he ecstatic. 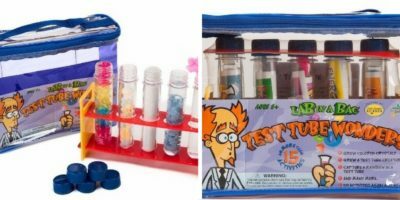 What I like about the Lab In A Bag Test Tube Wonder this kit is that it’s possible to make over 25 different science experiments. You can do 1 activity every day for almost a month of science projects. Pick one for the day, explore that subject with videos and other learning activities and you’ve got yourself a very educational day with a kindergarten age kid.